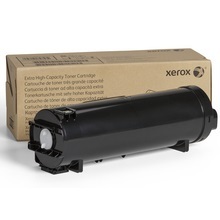 Genuine OEM Xerox Toner Cartridge, Black, Extra High Capacity 46,700 page yield. Xerox part number: 106R03944. Laser Toner Cartridge compatible with Xerox VersaLink B600, B605, B610, B615. Genuine OEM Xerox Toner Cartridge, Black, 10,300 page yield. Xerox part number: 106R03940. Laser Toner Cartridge compatible with Xerox VersaLink B600, B605, B610, B615. Genuine OEM Xerox Toner Cartridge, Black, High Capacity 25,900 page yield. Xerox part number: 106R03942. Laser Toner Cartridge compatible with Xerox VersaLink B600, B605, B610, B615. Genuine OEM Xerox Drum Unit, Black, 60,000 page yield. Xerox part number: 101R00582. Drum Unit compatible with Xerox VersaLink B600, B605, B610, B615.